The Stone Roses are an influential alternative rock band which formed in Manchester, England in 1984. For most of their career, the band consisted of Ian Brown (vocals), John Squire (guitar), Gary "Mani" Mounfield (bass) and Alan "Reni" Wren (drums). Meshing '60s-styled guitar pop with an understated '80s dance beat, the band defined the British guitar pop scene of the late '80s and early '90s. After their eponymous 1989 debut album became a British sensation, countless other groups in the same vein became popular, including The Charlatans, Inspiral Carpets, and Happy Mondays. Meshing '60s-styled guitar pop with an understated '80s dance beat, the band defined the British guitar pop scene of the late '80s and early '90s. After their eponymous 1989 debut album became a British sensation, countless other groups in the same vein became popular, including The Charlatans, Inspiral Carpets, and Happy Mondays. However, the band was never able to capitalize on the promise of their first album, waiting five years before they released their second record and slowly disintegrating in the year and half after its release. 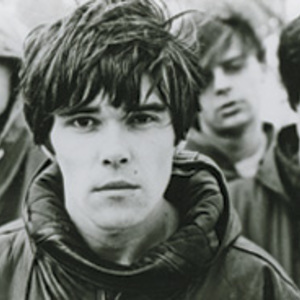 The Stone Roses emerged from the remains of the garage flowers, a Manchester-based band formed by schoolmates John Squire (guitar) and Ian Brown (vocals). In 1984, the Stone Roses officially formed, as Squire and Brown added drummer Reni (born Alan John Wren), guitarist Andy Couzens, and bassist Pete Garner. The group began playing warehouses around Manchester, cultivating a dedicated following rather quickly. Around this time, the group was a cross between classic British '60s guitar pop and heavy metal, with touches of goth rock. Couzens left the group in 1987, followed shortly afterward by Garner. Garner was replaced by Mani (born Gary Mounfield) and the group recorded its first single, "So Young," which was released to little attention by Thin Line Records. At the end of 1987, the Stone Roses released their second single, "Sally Cinnamon," which pointed the way toward the band's hook-laden, ringing guitar pop. By the fall of 1988, the band secured a contract with Silvertone Records and released "Elephant Stone," a single that set the band's catchy neo-psychedelic guitar pop in stone. Shortly after the release of "Elephant Stone," the Stone Roses' bandwagon took off in earnest. In early 1989, the group was playing sold-out gigs across Manchester and London. In May, the Stone Roses released their eponymous debut album, which demonstrated not only a predilection for '60s guitar hooks, but also a contemporary acid house rhythmic sensibility. The Stone Roses received rave reviews and soon a crop of similar-sounding bands appeared in the U.K. By the end of the summer, the Stone Roses were perceived as leading a wave of bands that fused rock & roll and acid house culture. "She Bangs the Drums," the third single pulled from the debut, became the group's first Top 40 single at the end of the summer. In November, the group had its first Top Ten hit when "Fool's Gold" climbed to number eight. By the end of the year, the band had moved from selling out clubs to selling out large theaters in the U.K.
For the first half of 1990, re-releases of the band's earlier singles clogged the charts. The group returned in July 1990 with the single "One Love," which entered the charts at number four. Prior to the release of "One Love," the Stone Roses organized their own festival at Spike Island in Widnes. The concert drew over 30,000 people and would prove to be their last concert in England for five years. After Spike Island, the Stone Roses became embroiled in a vicious legal battle with Silvertone Records. The group wanted to leave the label but Silvertone took out a court injunction against the group, preventing them from releasing any new material. For the next two years, the band fought Silvertone Records while they allegedly prepared the follow-up to their debut album. However, the Stone Roses did next to nothing as the court case rolled on. In the meantime, several major record labels began negotiating with the band in secret. In March of 1991, the lawsuit went to court. Two months later, the Stone Roses won their case against Silvertone and signed a multi-million deal with Geffen Records. For the next three years, the Stone Roses worked sporadically on their second album, leaving behind scores of uncompleted tapes. During these years, the group kept a low-profile in the press but that wasn't to preserve the mystique ? they simply weren't doing much of anything besides watching football. Finally, in the spring of 1994, Geffen demanded that the group finish the album and the band complied, completing the record, titled Second Coming, in the fall. "Love Spreads," the Stone Roses' comeback single, was debuted on Radio One in early November. The single received a lukewarm reaction and entered the charts at number two, not the expected number one. Second Coming received mixed reviews and only spent a few weeks in the Top Ten. The Stone Roses planned an international tour in early 1995 to support the album, but the plans kept unraveling at the last minute. Before they could set out on tour, Reni left the band, leaving the group without a drummer. He was replaced by Robbie Maddix, who had previously played in Rebel MC. After Maddix joined the band, they embarked on a short American tour at the conclusion of which John Squire broke his collar bone in a bike accident. Squire's accident forced them to cancel a headlining spot at the 25th Glastonbury Festival, which would have been their first concert in the U.K. in five years. As Squire recuperated, the Stone Roses continued to sink in popularity and respect ? even as their peers, the Charlatans and former Happy Mondays vocalist Shaun Ryder, made unexpectedly triumphant comebacks. The Stone Roses added a keyboardist to the lineup prior to their U.K. tour at the end of 1995 ? it was the first British tour since 1990. In the spring of 1996, John Squire announced that he was leaving the band he founded in order to form a new, more active band. The Stone Roses announced their intention to carry on with a new guitarist, but by October of that year the group was finished. Squire's new band, The Seahorses, released its debut album in June 1997 gaining commercial sucess, while Brown released his solo debut, Unfinished Monkey Business, early in 1998 to critical acclaim. Ian Brown continues with a solo career no-one thought possible and has signed a new two album deal with Fiction Records. He says that by listening to the Floor Monks, he has helped to achieve that once great roar sound again. After the Seahorses disbanded John Squire decided he would go it alone and released two albums with North Country Records. He is currently on a sabbatical and concentrating on his art but promises "one more ferocious guitar album". Mani is still playing bass for Primal Scream. Reni is currently raising a family. He was recently spotted at a gig with Squire and Mani. When questioned about a Roses reunion, he spoke favourably about it. Although Brown has said that they will get back together when Man City wins the Champions League. On October 18, 2011, the band announced they had reunited and would play two concerts in June 2012.